Come and sing to me your song. And a long time to be gone. And to know that you’d never be mine. Won’t you take me back. Way up in the sky. 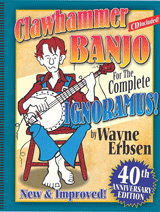 Instruction on how to play this song can be found in Wayne Erbsen’s books: Clawhammer Banjo for the Complete Ignoramus.